Any Minang Cuisine lovers here? As you know I love spicy food so one of my favourite food is Minang or Padang Cuisine. Tadah!!! And here is my lunch NATRABU Xpress Authentic Minang Food @ Putrajaya. Can you guess the name of all these dishes? When was the last time you had Minang or Padang food? Yuhuu!!! We are here at the launch of NATRABU Xpress newest restaurant that is located at Presint 15 in Putrajaya. This is NATRABU’s 3rd restaurant in Malaysia, the other two are located in Bangsar and EcoSky. 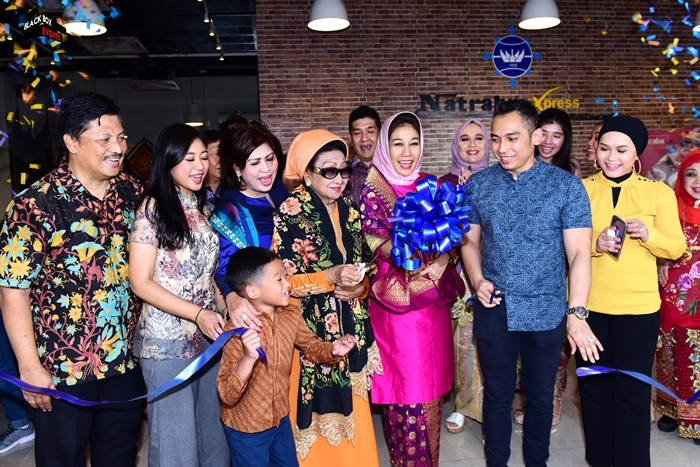 It was quite happening at the launch, as the owners, many VIPs, business partners, family members from Indonedia and Malaysia plus media and bloggers were also at their grand launch event. 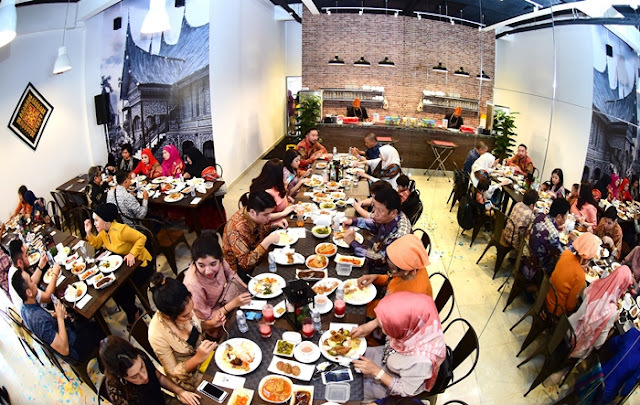 Are you familiar with Minang or Padang food? Minang food is the cuisine of the Minangkabau people of West Sumatra, Indonesia. It is among the most popular food in Maritime Southeast Asia. Also known across Indonesia as Masakan Minang or Masakan Padang after the city of Padang the capital city of West Sumatra province. Minang cuisine put much emphasis in three elements; gulai (curry), lado (chili pepper) and bareh (rice) plus the heavy use of spices mixture. Let’s eat! Yellow curry chicken cooked with authentic bumbu Kuning Minang and coconut milk. Its aromatic and flavourful, the gravy is super delicious and appetizing with rice. Traditional aromatic deep friend spring chicken. Crispy on the outside and flavorful inside plus it come with the crust that taste so good when added with steamed rice. Shrimp served with potatoes, bitter beans (petai) and red chilli sambal. The spiciness is moderate, potatoes are fluffy and of course I love petai. This is one of my faourite dish. Thinly sliced beef tenderloin marinated in coconut water with shallots, garlic, spices and coconut oil. Served with ground red chillies. Beef knuckles stewed in coconut milk, mixture of herbs and spices for 8 hours. Cassava leaves in yellow curry is so flavourful and tasty. A combination of green chillies with fermented shrimp paste, lime juice, sugar and salt pounded with mortar and pestle. Overall I had a great lunch during NATRABU Xpress grand opening. Their food is really delicious and authentic. While writing this post I am missing their dishes now. Yes! I will definitely go back again, maybe I should try their Bangsar or EcoSky outlet. For those who wish to try Minang Cuisine do head over to NATRABU they have 3 restaurants in Klang Valley. Location: Lot G-66, Jalan Perak P15, Presint Diplomatik, 62050 Putrajaya, Malaysia. OMG! Why never invite me too? I fall in love with Minang food when visited to Bukit Tinggi. So delicious and variety too. i love Indonesian cuisine. wish to bring along my family to dine in Natrabu express newest restaurant at Putrajaya which near to my siblings. Congrats natrabu untuk pembukaan baru di putrajaya..wah orang putrajaya boleh makan macam-macam sekarang..tengok maknaan dia sedap..kena cuba dekat area kl tu.. Finally i can get Minang foods nearby my house. Glad that they choose to open it in putrajaya. The food looks amazing n the taste sure very nice. I would love to try their daging dendeng balado again. Recommended !